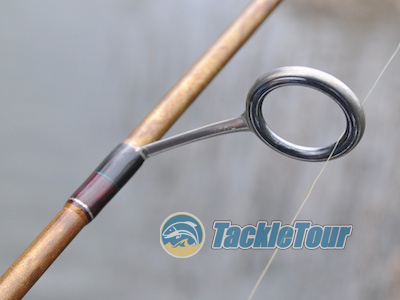 Introduction: Countless years ago, during my bass fishing youth, spinning gear was my mainstay. Overall, it was less expensive and easier to use than baitcasting gear, and the disparity between entry level, median, and top end gear wasn’t as wide when money was factored in. My combo of choice? 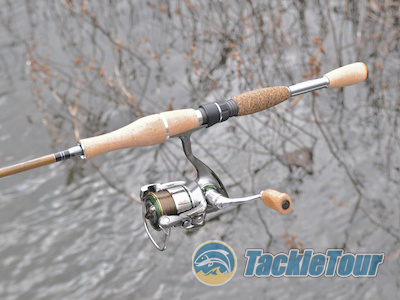 A Shimano Symetre 2000 with QuickFire II matched up with a G.Loomis SJR700-21 GL3. Man how I loved that combo. Back then, the Stradic was Shimano’s top end freshwater spinning reel. It was white with a wooden knob, but right around $100. No way I could swing that, so instead, I went with second from the top in the Symetre and right around a $60 or $70 price tag. My favorite combo from years past, a G.Loomis SJR700-21 GL2 matched with a Shimano Symetre 2000 with Quickfire II. 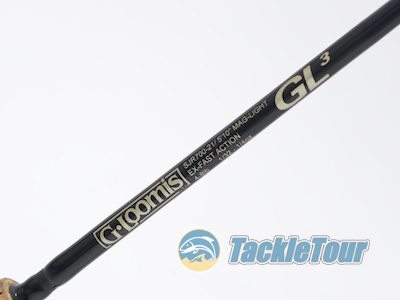 G.Loomis was still relatively young as a company and the GL3 replaced my five foot long LCI (Loomis Composites Inc) ultra light. The SJR700-21 was five foot ten inches, so I got a little more length out of it, and it also had this mean new taper Gary Loomis called “Mag-Light”. Essentially, it’s a light powered spinning rod with an extra-fast taper, but what it felt like was the tip of my 5’ LCI Ultralight fused onto a much more powerful blank. This was the ultimate combo for fishing four inch finesse worms on a #2 lightwire Gamakatsu worm hook and split shot. Six pound test Original PLine was the line of choice and I absolutely slayed them because I could feel everything. This is where I first saw the term Mag-Light being used by a rod company. 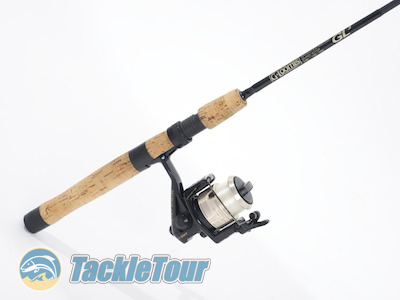 Gary Loomis used it to describe a light powered spinning rod with an extra-fast taper. 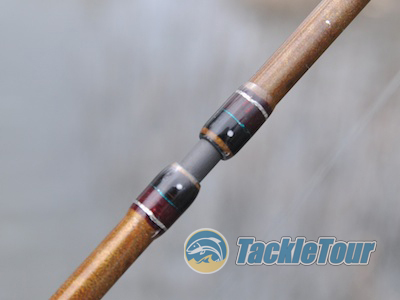 Want to know what a sensitive rod really is? Fish with a quality ultra-light stick for a while and you will be spoiled. The SJR700-21 allowed me this luxury without the handicap of an ultra-light backbone. Of course, times change, desires evolve, and a steady income can do crazy things to one's choice in tackle. But of course, times change, desires evolve and ultimately, that combo, really just the stick - was retired for reasons of nostalgia and the opportunity to try different gear. See, I discovered this thing called a job where I do what my manager asks, and they give me money to buy fishing gear! Can you believe it? As the income grew, so did my tackle arsenal, but still, I had yet to find a stick that duplicated the magic of my trusted SJR700-21 GL3. 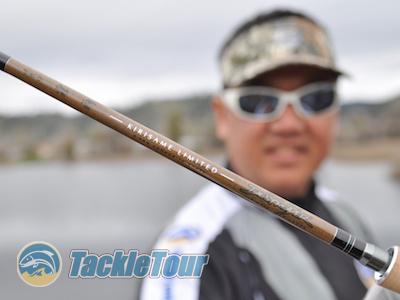 It's been four years since we've taken a look at a spinning rod from Megabass. 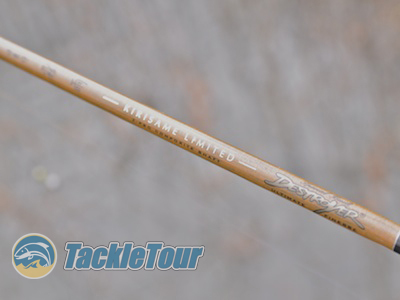 Introduction: It’s been four years since we’ve taken a look at a spinning rod from Japan manufacturing icon, Megabass. 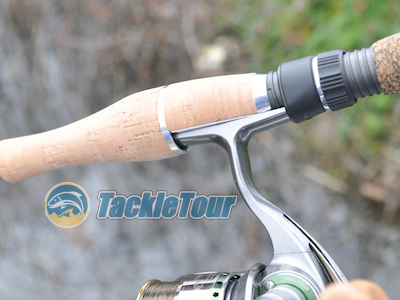 Our last spinning rod review for this company? The F3-69XS Shabbler, a rod that we described as the third in the company’s “big three” general application spinning rods. The other two being, of course, the F3-610DGS Aaron Martens Limited and the vaunted F4ST-69RSDti Orochi Evoluzion. It’s been some time since a spinning rod from this company intrigued us enough to warrant further investigation but then of course, recently, Megabass had to go all “limited” on us. There’s nothing like a little Megabass exclusivity to get the curiosity flowing. Impressions: The F1-66ZKS Kirisame Limited by Megabass actually is not that limited and was announced in the company’s annual catalog back in 2007. 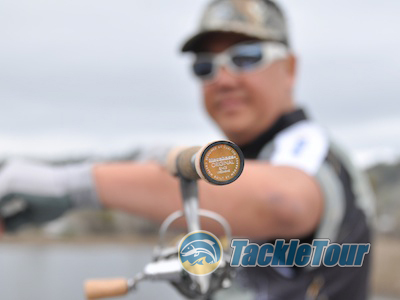 It is a two piece stick rated in the “light” power range and features a custom, Megabass real seat together with Fuji AT guides featuring titanium frames and SiC inserts. It is, as with most things Megabass, exquisite. Fig 1: This chart illustrates the deflection characteristics of the F1-66ZKS (red curve) as compared to that of two, high end sticks from G.Loomis. 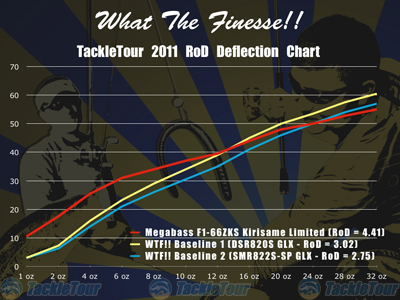 Note how much the F1-66ZKS flexes with minimal load, yet at about twelve ounces, the rate of deflection flattens out. This is indicative of a rod with a super light tip, but a good, strong backbone. Lab: It's tough to strap an expensive, light powered rod like the Kirisame Limited up to our RoD WRACK, but there's really little other way to get an idea of what this stick has in comparison to other rods we've already reviewed than to subject it to our tests. The F1-66ZKS tests out as one of the lightest powered rods we've ever had the nerve to strap up to the WRACK, but it managed to handle our load range up to 32 ounces without breaking! Numbers wise, it is definitely lighter in power than both the DSR820S GLX and SMR822-SP GLX. While the Kirisame weighs a little more than either of those sticks (4.1 ounces for the F1-66ZKS vs 3.9 ounces and 3.7 ounces respectively for the DSR820S GLX and SMR822-SP GLX) , it's also less tip heavy with a balancing torque of only 0.11 ftlbs versus 0.15 for both baseline rods. So bottom line if you're trying to get an idea of what this rod feels like since you cannot find it in a store rack, look for either of those two sticks from G.Loomis at your local tackle shop and know the Kirisame Limited will feel similar in heft and balance, but will be much lighter in power at the tip. The Kirisame Limited has a finish reminiscent of a classic bamboo stick. Field Tests: It took about two seconds to decide which of my spinning reels would be suitable for the Kirisame Limited. Once I pulled the stick out of its rod sock and slid the two pieces together, the Daiwa Exist Native Custom 1003H spooled with 5lb Sunline Shooter Metan Invisible was a natural. Rigged and ready to go matched with a Daiwa Exist Native Custom 1003H. 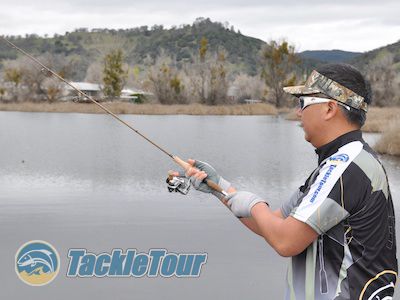 We kicked the year off with a trip to Clear Lake where we were met with some pretty wintery fishing conditions. Morning temps at the lake were in the upper 30’s at 8:30am, so we knew the bite was going to be tough. Perfect for WTF (What the Finesse). The "Stealth" reel seat designed by Yuki Ito. My fingers were so cold, I was barely able to tie on my #2 Owner Wacky style hook in a drop shot configuration and resorted to crimping on two #7 split shots instead of trying to thread a standard drop shot weight through the end of my line. I tipped my drop shot rig with a three inch Fish Arrow Flash J minnow and was ready to roll. Castability with spinning gear is a foregone conclusion. Casting: The F1-66ZKS is rated up to one eighth of an ounce in lure weight. One #7 split shot is roughly a sixteenth of an ounce, so my rig on this day at Clear Lake (2x #7 split shot + #2 Owner Wacky Hook + 3” Fish Arrow Flash J minnow) was easily over this weight allowance but the Kirisame Limited handled the rig just fine. The Kirisame Limited features several Fuji AT framed guides built with titanum frames and SiC inserts. Granted, when drop shotting, casting to targets is not priority. Case in point, we were pretty much lob casting out to open water anyway targeting off shore rock piles with our offering. No need to site down the guides to make sure the two pieces of this rod line up - just match the two dots at the joint.